We take precautions to protect your information. When you submit information to us via the website, it is protected both online and offline. Animal Medical at the present time does NOT request credit card information from our clients through our website. Still, The Animal Medical website is encrypted for your protection as identified by the “https” at the beginning of our Web address. Clients may complete forms through our website. This information is used to contact you about the products/services on our site in which you have expressed interest, to schedule appointments, tell us information about a pet that’s boarding with us, or somehow otherwise improve the safety of your pet and your client experience. This information is handled securely on and offline and is not shared with any other company. Before you can download any information from our site, you will be asked for some personal information. This information is used to track and fill orders. If we have trouble processing an order, we’ll use this information to contact you. This website contains links to other sites. Please be aware that we are not responsible for the content or privacy practices of such other sites. We encourage our users to be aware when they leave our site and to read the privacy statements of any other site that collects personally identifiable information. 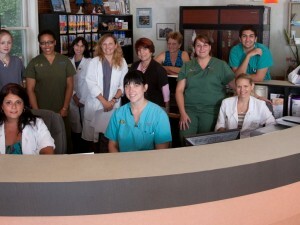 Animal Medical strives to only offer links to the most credible veterinary and news websites. From time-to-time our site requests information via surveys or contests. Participation in these surveys or contests is completely voluntary and you may choose whether or not to participate and therefore disclose this information. Information requested may include contact information (such as name and shipping address), and demographic information (such as zip code, age level). Contact information will be used to notify the winners and award prizes. Survey information can be used for purposes of monitoring or improving the use and satisfaction of this site. We use some plugins that capture data, but do not make use of it. Google Analytics tracks your browsing habits on our site, but does not store personal information about you. Occasionally you may find links within our site that take you to other sites, in which case, you are obliged to read the privacy policies on those sites to determine how your information is being used. Animal Medical of New City never directs traffic to dubious websites, but only to the most respectable veterinary medical/news sites and organizations in the world.